Four-Team Championship winner: 2011 [Dudley]. What can you say about Adam Roynon, very, very brave National League superstar springs to mind. His first rides were on a Cumbrian beach in 1999. He started his speedway career with the Swindon Sprockets in 2003 joining the Peterborough Pumas in 2004 for one meeting,when they pulled the plug on the Conference League in April. he also rode for Mildenhall and Boston. Joining Glasgow in 2005 he was injured in September. 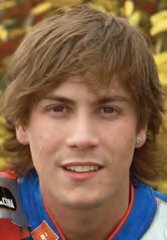 Starting the 2006 term with Buxton he was soon top of the sides averages then in September winning the Conference League Riders Championship at Rye House with a 15 point maximum. Adam had made a number of guest appearances for Rye House during the season and was drafted in to replace Jamie Courtney, unfortunately he broke his right ankle on the Isle of Wight on 16th September and was out for the rest of the year. In 2008 he was signed by Birmingham but contracted to Coventry but declined a team place. At the beginning of March he crashed while practicing for the Great Britain team at Kings Lynn and suffered a blood clot to his brain and a broken neck his survival chances were assessed as 50/50 but his recovery 'amazed' doctors who allowed him to leave hospital eleven days later with a 'halo' brace, in April it was announced the brace had been unsuccessful and would need surgery. 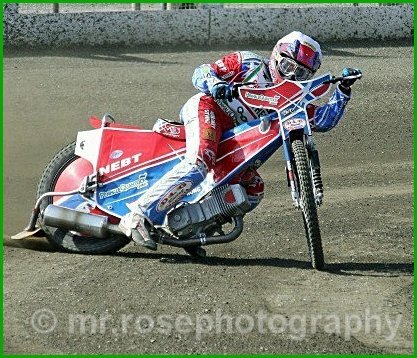 In 2010 he returned with Workington and Stoke but broke his ankle, after recovering he was signed by Kings Lynn. In 2011 he was loaned out to Redcar and also rode for Dudley, in five matches he scored double figures in every one but a broken femur saw him out of action until July. He returned too early and his scoring suffered a little. He signed for Coventry in 2012 doubling up again with Dudley. He had a tremendous season with the Heathens scoring 247 points for an average of 11.45. One spell between May and August he was only beaten by an opponent on two occasions in eleven matches. Then in the National League play-off final against Mildenhall at the Norfolk Arena in October the League title went down to the last heat, when Ashley Morris got out of the gate Adam covered him close behind it was in the bag but Stefan Nielsen did a death defying dive around the outside and when Adam tried to block him there was a collision and Adam was down and out with a broken leg. Such a shame for Adam who was in his last match for the Heathens because of the rules for the National League his average would be too high for him to continue in 2013. He signed for Leicester in the Premier League in 2013 doubling up with Coventry, he suffered concussion in his first match for the Bees leading to another break from racing, when he returned he joined Sheffield and in July went back into the Coventry team. Adam has signed for Peterborough for 2015 in the Premier League.